Kruger National Park: Seasonal gate hours will change on 01 April 2016! 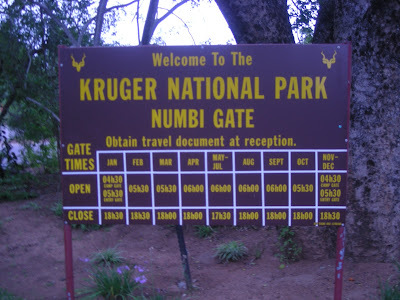 Kruger National Park's seasonal gate hours will change tomorrow. From 01 April 2016, the entrance gates will open at 06:00 (April to September) instead of 05:30 (October to March) and will close at 18:00 (April, August & September) or at 17:30 (May, June, July). Kruger's camp gates will also change the gate hours. Instead of 05:30 (October, February, March; 04:30 from November to January), the gates to all camps managed by South African National Parks (SANParks) will open at 06:00 (April to September) and close at at 18:00 (April, August & September) or at 17:30 (May, June, July). During November, December, January and February all entrance and camp gates are closing at 18:30. 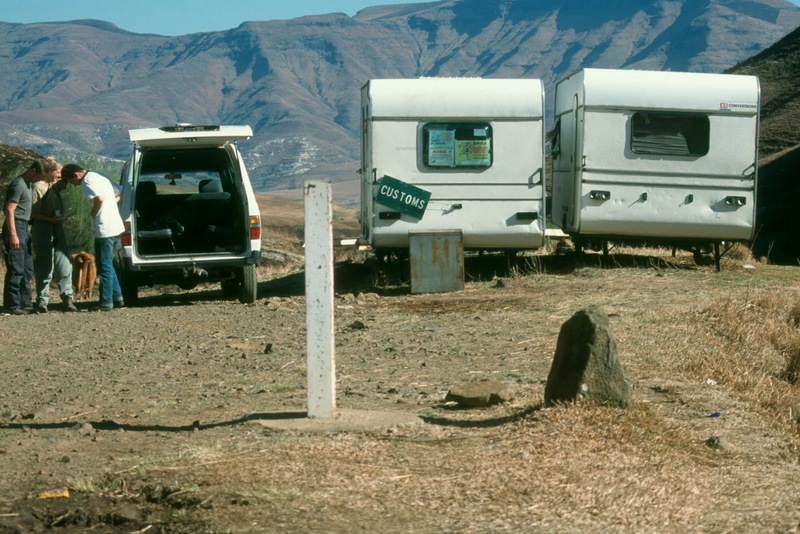 Late arrivals are only allowed in cases of emergency (proof and valid reason required) until 21:00 for guests with pre-booked accommodation at certain camps within 10km distance from the relevant gate. An extra late arrival fee will be charged which is payable at the gate. 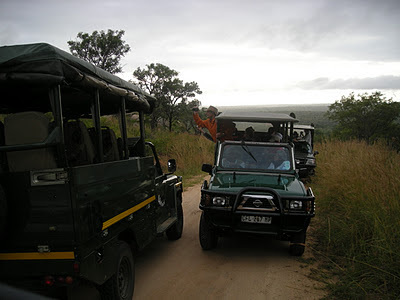 No late arrivals are allowed at Pafuri, Phalaborwa or Phabeni Gates or any other gates for camps more than 10km away. The late arrival fee for Skukuza camp is R500. Norway to close its embassies in Zimbabwe & Zambia! Norway will close its embassies in Harare (Zimbabwe) and Lusaka (Zambia) in June 2016 due to "budgetary constraints and new priorities". Norway has been present in Zimbabwe with an embassy since 1981 and in Zambia with a development office since 1971, and an embassy since 1995. In case you need assistance from a Norwegian embassy in Southern Africa, contact the Royal Norwegian Embassy in Pretoria (Ozmik House in 165 Lynnwood Road, Brooklyn; Tel# +27 12 3643700; office hours Mon-Fri 08:30 - 16:00). Royal Air Maroc launches direct flights Casablanca <> Nairobi! The national carrier of Marocco, Royal Air Maroc, will launch a new direct service between Mohammed V International Airport (CMN) in Casablanca and Jomo Kenyatta International Airport (NBO) in Nairobi, Kenya, today (30 March 2016. The airline will operate two scheduled return flights per week between the two destinations. British Airways will introduce flights between London Gatwick <> Cape Town! The flag carrier airline of the United Kingdom, British Airways, is set to introduce (northern) winter only flights between Gatwick Airport (LGW) in London and Cape Town International Airport (CPT) in Cape Town on 24 November 2016. The airline will operate three direct flights a week on Mondays, Thursdays and Saturdays. Flights will depart London at 18.00, arriving in to Cape Town at 07.50 the following morning. British Airways also offers two fights per day between Heathrow Airport (LHR) in London and Cape Town International Airport (CPT) in Cape Town. South African carrier Airlink has (re)introduced a direct service between OR Tambo International Airport (JNB) in Johannesburg and Fascene Airport (NOS) on the island of Nosy Be (Madagascar) on 20 March 2016. The airline operates one weekly flight between the two destinations on Sundays on board an Airlink Embraer ERJ 135 regional jet aircraft. The flight departs at 09h30 from Johannesburg and arrives at Nosy Be at 14h00 (Malagasy time). The return flight departs Nosy Be at 14h45 and arrives in Johannesburg at 18h45 (SAST). Due to the flight duration and prevailing headwinds the aircraft performs an en-route technical fuel-stop in Vilanculos (Mozambique) on route from Nosy Be to Johannesburg to refuel. Departure and arrival times at OR Tambo International Airport (JNB) have been timed to connect with domestic, regional and international connecting flights. Airlink suspended its service to Nosy Be in 2007 due to poor demand on the route. Botswana: Botswana Railways has launched its new passenger train service! Botswana Railways (BR) has launched its long-awaited passenger train service in Botswana this morning. The BR Express will run daily between Lobatse and Francistown via Gaborone, Mahalapye, Palapye and Serule from 23 March 2016. Standard Class tickets will cost 14 Pula - 102 Pula (single way), Business Class tickets will cost 24 Pula - 171 Pula (single way) and First Class tickets will cost 40 Pula - 285 Pula (single way). The luggage allowance is 30kg per adult in Standard Class, 40kg in Business Class and First Class respectively. South Africa: Extended border hours during the the Easter 2016 holiday! South Africa's Department of Home Affairs has extended operating hours at selected ports of entry to ease movement for travellers over the Easter holiday (18 - 30 March 2016). The Department also deploys more personnel, including senior managers, to enhance service quality in this period. Botswana: Train schedule & ticket fares for new passenger train service now available! The Government of Botswana has published some long-awaited information about the new passenger train service in the country via Facebook. According to the postings (see below), Botswana Railways will run a daily service between Lobatse and Francistown via Gaborone, Mahalapye, Palapye and Serule. Botswana's transport and communications minister, Mr Tshenolo Mabeo, said in late February 2016, the new passenger train service will be operational by the end of March 2016. We'll keep you updated! Standard Class tickets will cost 14 Pula - 102 Pula (single way), Business Class tickets will cost 24 Pula - 171 Pula (single way) and First Class tickets will cost 40 Pula - 285 Pula (single way). The luggage allowance is 30kg per adult in Standard Class, 40kg in Business Class and First Class respectively. Cape Town International Airport (CPT) in Cape Town was named Best Airport in Africa at the SKYTRAX World Airport Awards™. Johannesburg's OR Tambo International Airport (JNB) came in second in the continental category, followed by King Shaka International Airport (DUR) in Durban. East London Airport in East London was voted 5th, followed by Port Elizabeth International Airport (PLZ) in Port Elizabeth. Bram Fischer International Airport (BFN) in Bloemfontein was named 8th best airport in Africa. Cape Town International Airport (CPT) also won Best Airport Staff in Africa. Durban's King Shaka International Airport was named world's Best Airport (under 5 million pax per year) as well as Best Regional Airport in Africa. Congrats ACSA! The SKYTRAX World Airport Awards™ are based on 13.25 million survey questionnaires completed by 106 different nationalities of airline customers during the survey period which operated from June 2015 to February 2016. The survey evaluates traveller experiences across different airport service and product key performance indicators - from check-in, arrivals, transfers, shopping, security and immigration through to departure at the gate. 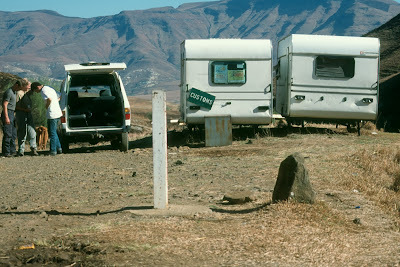 South Africa: New promotional video for the Cape Karoo! Wesgro, the official Destination Marketing, Investment and Trade Promotion Agency for the Western Cape, has published a great new promotional film featuring the Cape Karoo. How do you like it? Fastjet to increase fligths between Dar es Salaam <> Nairobi! Pan-African carrier Fastjet is set to increase the number of flights between Julius Nyerere International Airport (DAR) in Dar es Salaam and Jomo Kenyatta International Airport (NBO) in Nairobi. From 21 March 2016, the airline will add a second daily return flights between each city every day of the week. The morning flight will depart Dar es Salaam at 06:00 and land in Nairobi at 07:20. The return flight will take off from Nairobi at 07:50 and will land back in Dar es Salaam at 09:15. The new evening flight will depart Dar es Salaam at 20:15 and land in Nairobi at 21:35. The return flight will depart Nairobi at 22:05 and land back in Dar es Salaam at 23:30. Botswana & Zimbabwe: New border post to open in May 2016! update (28 June 2016): The border's name on the Botswana side is Mabolwe Border Post. The construction of a 9.1 km gravel road leading to the recently opened Mlambapheli Border Post (Zimbabwe) has been completed. From 01 June 2016 to date (26 June 2016), a total of 1,122 used the new border post between Botswana and Zimbabwe. update (02 June 2016): The Mlambapeli Border Post between Zimbabwe and Botswana opened to the public on 01 June 2016; it will be officially opened on 11 June 2016. The border will be operating from 06:00 to 18:00 daily. update (04 May 2016): According to news report, the opening of the Mlambapeli Border Post between Zimbabwe and Botswana has been postponed due to delays in the construction work. The new opening date is expected to be 01 June 2016. Zimbabwe and Botswana are set to open a new border post between the two countries. Mlambapeli Border Post, located in the southern part of the Gwanda District in the province of Matabeleland South, is expected to open in May 2016. Botswana already finished constructing border facilities in 2008, while Zimbabwe has not yet (!) started building structures. According to Zimbabwean newspaper "The Chronicle" (online edition), the government of Zimbabwe has in the meantime indicated that it will move with haste to put up structures before the border opens in two months' time. A new road will also be constructed on the Zimbabwean side for easy access of the new Mlambapeli Border Post. Recipes from Southern Africa: Koeksisters! Koeksisters are probably the most South African of all uniquely South African sweet treats. The syrup-coated deep-fried dough is sticky, sweet and, of course, simply delicious! South African chef Zola Nene recently presented her version of a recipe for homemade sticky koeksisters on SABC3's morning show "The Expresso Show". Enjoy! The state-owned flag carrier of Qatar, Qatar Airways, is set to launch flights to Windhoek in Namibia and Lusaka in Zambia. Starting 28 September 2016, the airline will operate four flights per week between Hamad International Airport (DOH) in Doha and Hosea Kutako International Airport (WDH) in Windhoek. A non-stop service between Doha and Kenneth Kaunda International Airport (LUN) in Lusaka will be introduced in summer 2017. Flood update: Road & gate closures in Kruger National Park! Due to heavy rain experienced in Kruger National Park on 08/09 March 2016, some gates, roads, gravel roads and low water bridges had to be closed. According to Kruger National Park' GM: Communications & Marketing, William Mabasa, there is a possibility that more roads might be closed due to more water coming in. All roads which are closed are marked with "No Entry" signs or blocked with other objects. Motorists are urged not to use those roads and to drive with caution. Motorists are also requested to be on the lookout for animals such as tortoise crossing roads or drinking water from little puddles on the road. Phabeni Gate and the S1 Road that leads from it, will reopen on 18 March 2016. Tar road - H1-2 (from Skukuza to Satara) is now open/accessible. High water levels at Sabie Sand and Sand River low water bridges have subsided. Gravel roads that are still closed in the Marula Region are S65, S4, S32, S33, S34, S36 (H1/2 - S125), S84, S125, S37 (H13 -S135) and S35. S56 - Between N’warihlangari loop and the H1-7. Phabeni Gate is closed until further notice. Guests are advised to use alternative gates. H1-2 (from Skukuza to Satara) > Guests are advised to use H12 – Lower Sabie high water bridge to Satara. 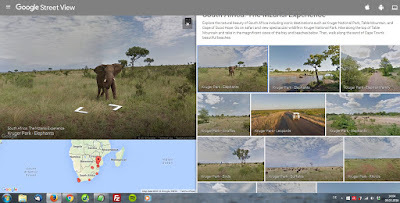 Google launches 360-degree panoramic imagery of South Africa's tourism hotspots! Google South Africa has launched "The Mzansi Experience – Discover South Africa on Google Maps", a collection of 360-degree imagery of South Africa's iconic destinations, on 08 March 2016. The new feature will allow travellers from around the world to go on virtual tours of some of South Africa's most popular tourist hotspots, including, among others, Table Mountain National Park, Cape of Good Hope (Cape Town), Kruger National Park, West Coast National Park, Lion's Head, Signal Hill (Cape Town) Golden Mile (Durban), Sunset Beach, Clifton Beach, Hout Bay, Llandudno Beach, Camps Bay Beach,Boulder's Beach. 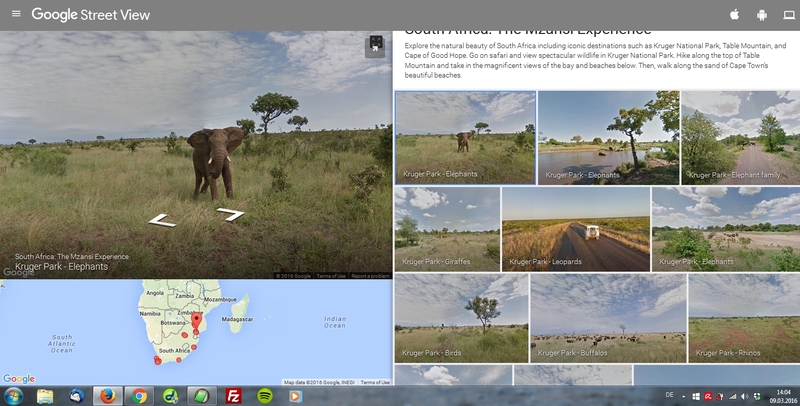 Enjoy exloring South Africa on your phone, your tablet or computer! 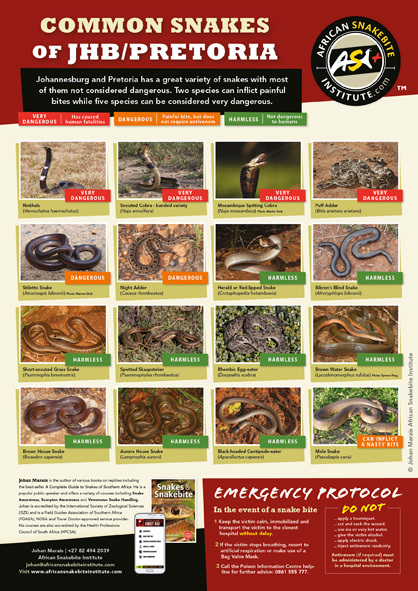 Free poster download: The Common Snakes of Johannesburg/Pretoria & Cape Town! Herpetologist Johan Marais, author of "A Complete Guide to Snakes of Southern Africa", has published new posters about the common snakes of Johannesburg/Pretoria and Cape Town. The posters are available as a free download in high resolution and is designed to be printed in A3 (or A4). To download the poster "Common Snakes of Johannesburg/Pretoria" click here (pdf, 8mb) or here (jpg, 161kb)! 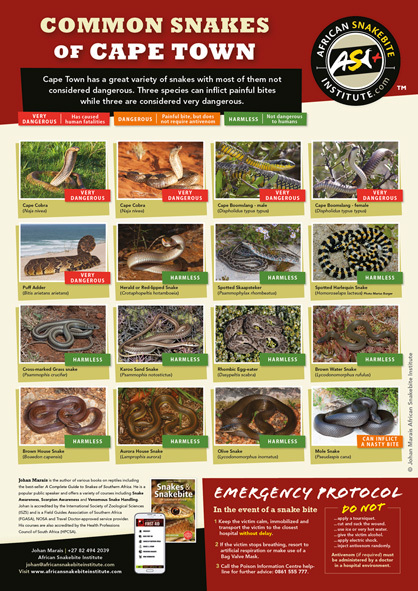 To download the poster "Common Snakes of Cape Town" click here (pdf, 8mb) or here (jpg, 161kb)! Fastjet to launch flights between Johannesburg <> Victoria Falls! Pan-African low-cost airline Fastjet is set to introduce flights between OR Tambo International Airport (JNB) in Johannesburg, South Africa, and Victoria Falls International Airport (VFA) in Victoria Falls, Zimbabwe, on 25 March 2016. The airline will operate two weekly flights on Fridays and Sundays between the two destinations. Zimbabwe scraps visas for SADC countries! Zimbabwe has, with immediate effect, scrapped visas for all member states of the Southern African Development Community (SADC). SADC citizens have been moved to Category A of Zimbabwe's visa regime, which refers to countries whose nationals are exempt from visa requirements. 45 countries currently fall under Category A. Nationals of countries in Category B (89) can obtain their visas at the port of entry (on arrival), while nationals of Category C (83) are required to apply for visas prior to travelling to Zimbabwe. Zimbabwe also moved 37 countries, including China*, Equatorial Guinea, Iran, Algeria, Turkey and Cuba, from Category C to Category B. *Chinese nationals travelling as a group cleared by tour operators and travel agencies in the People's Republic of China qualify for Category B.
Ethiopian Airlines to increase flights between Addis Ababa <> Durban! Ethiopia's flag carrier, Ethiopian Airlines, is set to increase its flights between Addis Ababa Bole International Airport (ADD) in Addis Ababa and King Shaka International Airport (DUR) in Durban, South Africa. Starting 02 July 2016 (01 July 2016? ), the airline plans to add a fourth weekly flight between the two destinations. Ethiopian Airlines resumed flights to Durban on 16 December 2016 after a 17 year hiatus. Zambia: Proflight Zambia to launch flights to Mbala in the Northern Province! Proflight Zambia, the operator of the largest fleet of aircraft in Zambia, just announced the introduction of a scheduled service between Kenneth Kaunda International Airport (LUN) in Lusaka and Mbala Airport (MMQ) in Mbala in Zambia's Northern Province. Subject to regulatory approval, Proflight Zambia plans to begin scheduled flights between the two destinations by June 2016. Flights will loaded in the system and available for booking from 23 May 2016. As an result of the introduction of flights to Mbala, Proflight Zambia will cancel its service to Kasama. The flight from Lusaka to Mbala will enable travellers to still easily access Kasama, as well as tourist destinations on the shores of Lake Tanganyika. Proflight Zambia will be putting on a shuttle between Kasama and Mbala airports for the convenience of those customers in Kasama. Namibia: 34 rhinos killed by poachers so far in 2016! 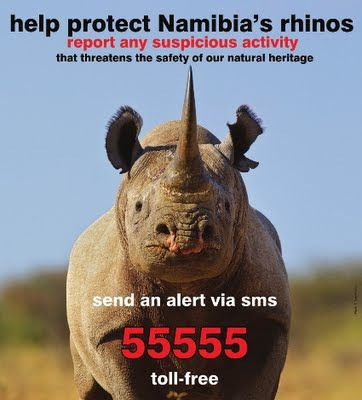 According to the deputy inspector-general for operations of the Namibian police, Major General James Tjivikua, Namibia has lost 34 rhinos to poaching so far in 2016. Of the rhinos poached, 29 rhinos were killed in the Etosha National Park. The other five rhino got illegally killed at Palmwag/Klip River, also located in the Kunene region of Namibia. Namibia lost at least 80 rhinos to poaching in 2015. South Africa's most punctual domestic airlines in February 2016! Airports Company South Africa (ACSA) has published the on-time performance results of domestic airlines’ flying out of OR Tambo in Johannesburg, Cape Town International Airport, and Durban's King Shaka International Airport in February 2016. South Africa: South African National Parks adds new day visitor online pre-booking! 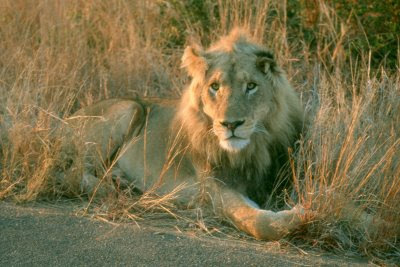 Great news for all day visitors of South Africa's National Parks. South African National Parks (SANParks), the body responsible for managing country's national parks, has included a pre-booking option for day visitors in its online booking portal. The new feature on SANParks' website enables day visitors to pre-book their park permits in a variety of time slots and for several days at a time. Previously, advanced day visitor bookings could only be done for the Kruger National Park, by contacting SANParks' Reservations office.